In "On the Origin of Ideas" various forms of abduction are analyzed as means of conceptualizing processes of discovery. 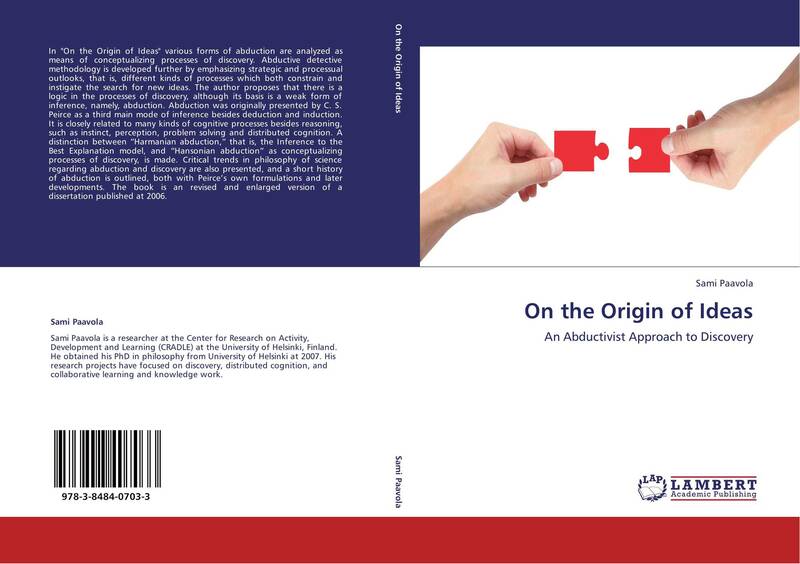 Abductive detective methodology is developed further by emphasizing strategic and processual outlooks, that is, different kinds of processes which both constrain and instigate the search for new ideas. The author proposes that there is a logic in the processes of discovery, although its basis is a weak form of inference, namely, abduction. Abduction was originally presented by C. S. Peirce as a third main mode of inference besides deduction and induction. It is closely related to many kinds of cognitive processes besides reasoning, such as instinct, perception, problem solving and distributed cognition. A distinction between “Harmanian abduction,” that is, the Inference to the Best Explanation model, and “Hansonian abduction” as conceptualizing processes of discovery, is made. Critical trends in philosophy of science regarding abduction and discovery are also presented, and a short history of abduction is outlined, both with Peirce’s own formulations and later developments. The book is an revised and enlarged version of a dissertation published at 2006.